I just spent the last week with my 84 year old mother and 88 year old Dad. Wow! I am fortunate to still have them both alive and living a great quality of life. Even with our good fortune there are things that really struck home with me that I really need to share. Car givers – they are necessary and invaluable and you cannot afford NOT to have them. Point number 1, when facing retirement you need good insurance and Money-lots of it! Advocacy – there are so many Seniors that health care is not hurting. At any appointment I went on with my parents, they were just another elderly couple waiting in a very big line or lobby because so many seniors live at the Doctors office. Point number 2, You need preventive care and it starts with Nutrition, and everyone needs an advocate, not someone that works at the office or hospital, someone that represents you the patient – a loved one , friend, or salaried caregiver. When I started thinking and planning for my own retirement, now at age 58, I realized that I must include in my plans, care of my parents too. And, my parents have a pension as well as long term care insurance – unlike the majority of Americans who do not. It is important to stay well and the best way to do that is; proper nutrition and less stress . . . which means less financial issues. You cannot be truly well if you are consistently worried about money – at any age! Make a plan and work the plan – small daily consistencies can deliver long term lasting results. And you if don’t have a plan for you and your family, I have a plan that I want to share with you. Until recently I did not know there was a solution available to create residual income for retirement and beyond. Now that I know, I want to share this with the world… or at least with people that are looking for real financial freedom. My sincere hope is that, while you are reading through the facts and figures in this newsletter, you will consider reaching out to me and let me share with you a plan that will facilitate healthy aging and financial freedom . . . The article went on to say that the average 401(k) account has $66,900, and the average monthly Social Security benefit is $1,067—both numbers as of the spring of this year, and neither consistent with the TV version of retirement. Those numbers are averages and we can and should plan to be above average. But even if we are, even if we’re successful in achieving the hallowed million dollar 401k, will it be enough to cover us for decades of retirement living and the inflation, recessions and stock market reversals that will be inevitable over such a time span? 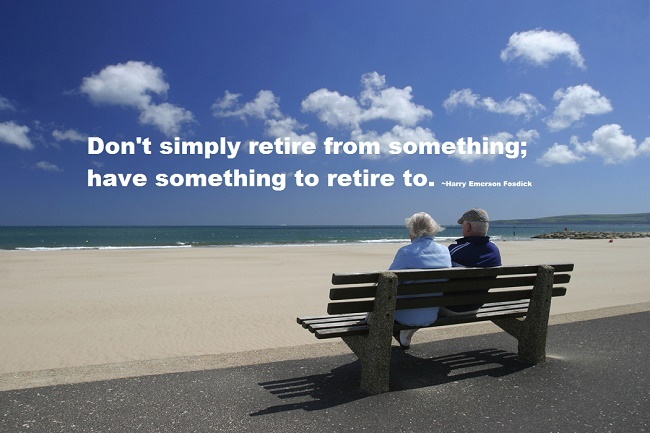 Visit http://money.cnn.com/calculator/retirement/retirement-need/ for the calclator. In these places, Social Security is likely to cover your basic monthly costs. You can live well on a small amount of savings in these affordable cities. Exercise is important for good health at any age, and seniors are no exception. You’ll want to talk to a doctor before you start any new exercise regimen, but once you get the all-clear, a low-impact exercise routine can benefit your health by stretching and strengthening your muscles, reducing stress, preventing injury and even helping to lower your blood pressure. Many gyms offer excellent low-impact exercise classes for seniors, but staying fit doesn’t require a gym. Whether you prefer to get your workout from an instructor in a class, on a gym machine or outdoors, you can reap exercise’s health benefits and have a little bit of fun at the same time. Looking for more low-impact exercises to round out your workout? We’ve got a list to get you started!